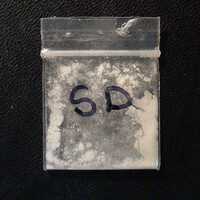 5-MeO-DMT is a psychedelic tryptamine that appears to be an endogenous drug. It can be found in many plants and is also produced by the Bufo alvarius toad. The drug has been used for centuries in South America and the Caribbean. To this day, it is used by indigenous groups in the form of intranasal snuffs. It can produce fully dissociative psychedelic experiences, similar to DMT. 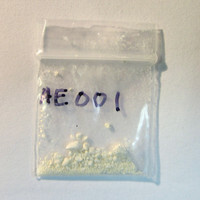 However, 5-MeO-DMT is far less visual with its effects and seems more likely to cause terror/anxiety responses. (2014) The natural hallucinogen 5-MeO-DMT, component of Ayahuasca, disrupts cortical function in rats: reversal by antipsychotic drugs. 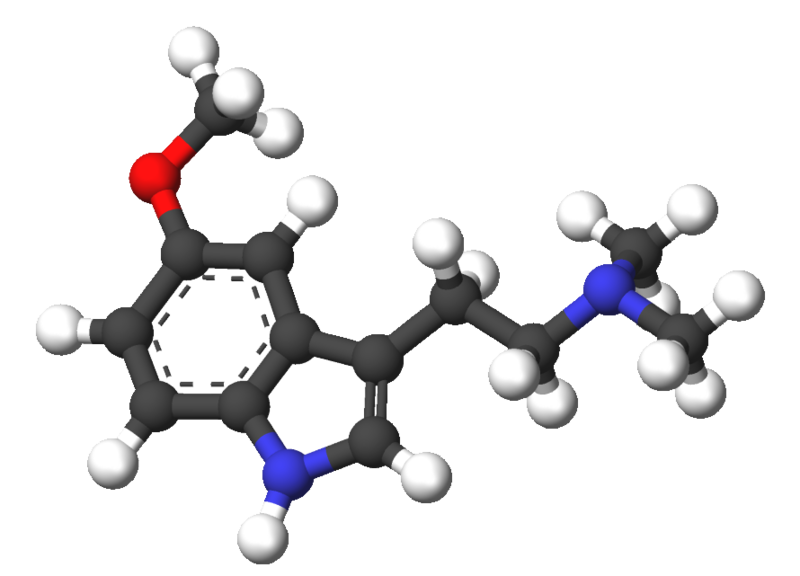 (2012) A critical review of reports of endogenous psychedelic N, N-dimethyltryptamines in humans: 1955-2010. 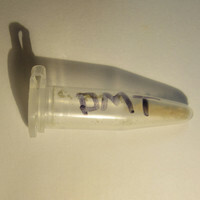 (2012) Behavioral effects of α,α,β,β-tetradeutero-5-MeO-DMT in rats: comparison with 5-MeO-DMT administered in combination with a monoamine oxidase inhibitor. (2011) Enhanced effects of amphetamine but reduced effects of the hallucinogen, 5-MeO-DMT, on locomotor activity in 5-HT(1A) receptor knockout mice: implications for schizophrenia. (2007) The effects of non-medically used psychoactive drugs on monoamine neurotransmission in rat brain. (2006) The roles of 5-HT1A and 5-HT2 receptors in the effects of 5-MeO-DMT on locomotor activity and prepulse inhibition in rats. (2006) A demand for clarity regarding a case report on the ingestion of 5-methoxy-N, N-dimethyltryptamine (5-MeO-DMT) in an Ayahuasca preparation. (2005) A fatal intoxication following the ingestion of 5-methoxy-N,N-dimethyltryptamine in an ayahuasca preparation. 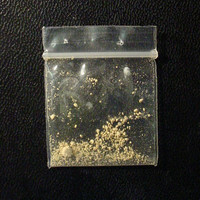 (2004) Monoamine oxidase inhibitor poisoning resulting from Internet misinformation on illicit substances. (2001) Pharmepéna-Psychonautics: Human intranasal, sublingual and oral pharmacology of 5-methoxy-N,N-dimethyl-tryptamine. (1987) In vivo metabolism of 5-methoxy-N,N-dimethyltryptamine and N,N-dimethyltryptamine in the rat. (1987) Serotonin receptor subtype mediation of the interoceptive discriminative stimuli induced by 5-methoxy-N,N-dimethyltryptamine. (1985) Subtypes of the 5-HT receptor mediating the behavioural responses to 5-methoxy-N,N-dimethyltryptamine in the rat.